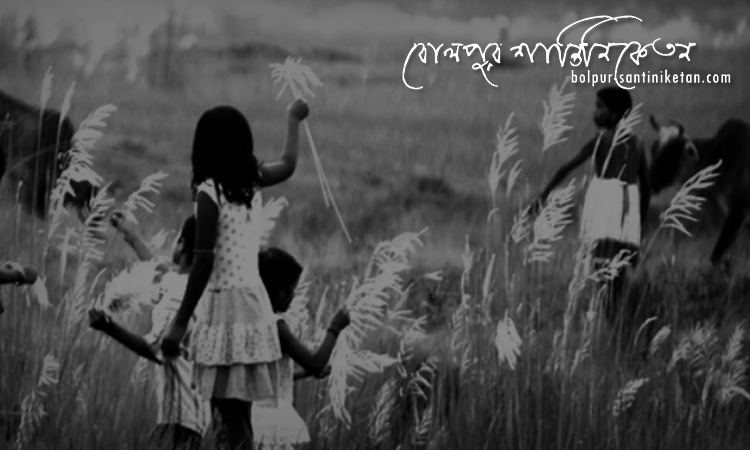 October-November is the month of festivals for all Indians.People of Bengal are eagerly waiting for the time. Durga Puja, Lakshmi Puja, Kali puja are the main festivals for all Bangali’s. It is an autumnal festival, celebrated by the students of Visva-Bharati. songs and dances are performed before the University closes for the Puja vacation. At the time of Gurudev “Sharadotsav” held on the previous day of “Mahalaya” and next day held “Ananda Bazar”. At present all rituals are same only extended few days the celebration of “Sharadotsav”.